No, it wasn’t shot in Santa Clarita … so what is the SCV connection to this cult classic? 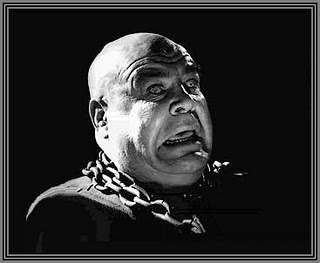 Why, its “biggest” star, of course: Tor Johnson. He’s an “eternal” resident of Newhall. Visit him sometime, a few paces down the hill from the mausoleum at Eternal Valley Memorial Park and Cemetery. In life, Johnson was no stranger to the SCV, having left us with the horribly unforgettable “Beast of Yucca Flats” which, we’re sorry say, was shot here.